Anchor Dashboard is an automatically-updating info screen for all-news and news/talk. 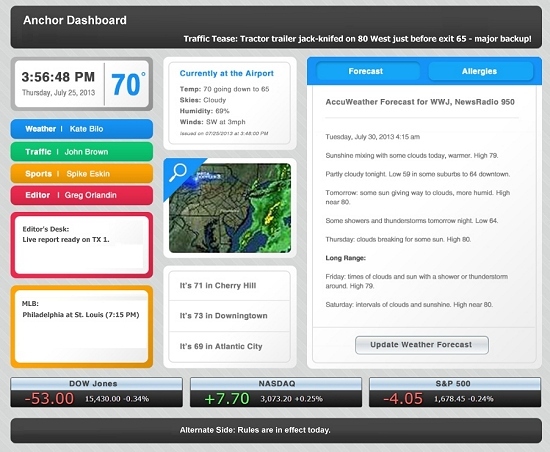 It organizes all the elements you need for local service radio (weather, traffic, sports, stocks, talent schedule, alerts, and more) on one screen. It lets editors easily send messages to anchors on the air. It can be customized for your needs, your market, and your providers.